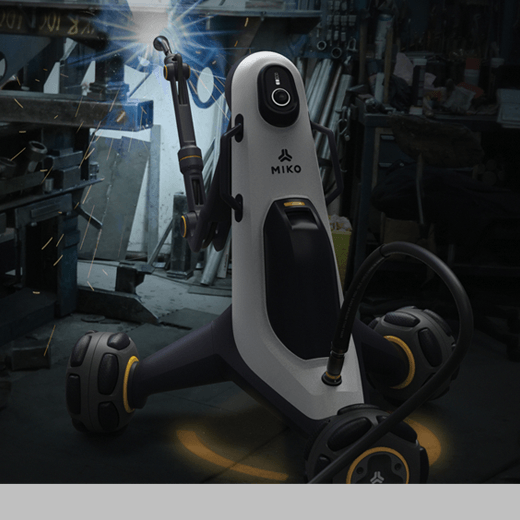 Miko is a professional welding robot for small-scale metal workshops designed to work in a close collaboration with the welder. Small-scale metal workshops compete with larger production facilities by being able to offer flexibility. This requires them to have an agile process and equipment that is efficient and easy to set up. Miko aims to bring automation into small-scale metal workshops. With Miko in on the team, users can avoid health risks caused by exposure to harmful fumes, strenuous positions and UV light. Miko finishes the job while the welder is planning for the next one, increasing efficiency and safety.